Banoffee pie is a classic British dessert that is a grand slam to anyone who loves bananas, caramel and cream! Gild the lily and add chocolate if you like! 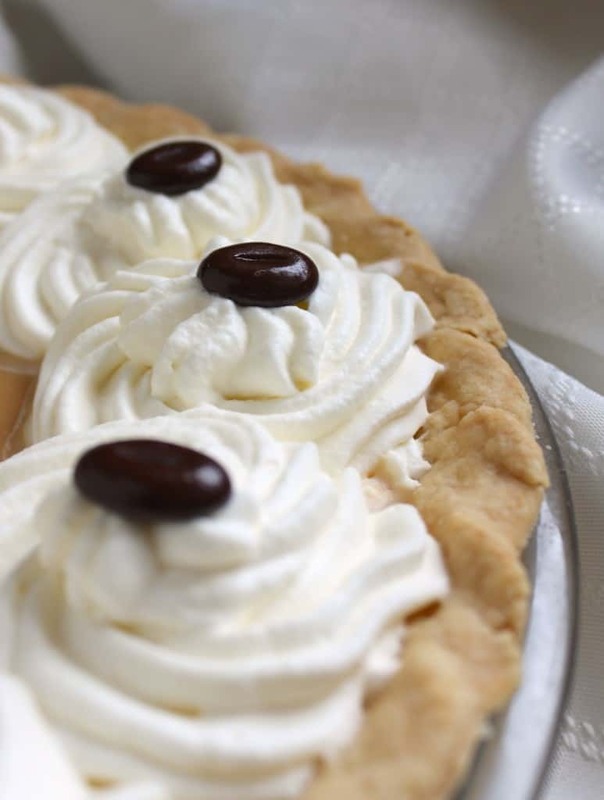 You’ve probably heard of Banoffee Pie, but have you tasted it, or better yet, made it? The original creation came from The Hungry Monk restaurant in East Sussex, England. I will link to the original recipe below as I always believe in giving the person(s) who first made the dish the credit that they deserve. I made this particular pie to take to a block party (with lots of children) so I omitted the coffee in the cream. 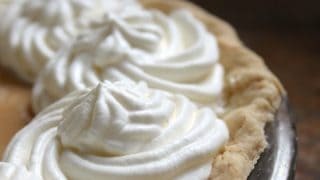 It’s so simple, you honestly don’t even need a recipe: a Banoffee (or Banoffi) Pie is essentially a no-bake caramel, banana and (coffee) cream pie! 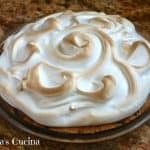 Update: I shared this twist on the traditional pie, CHOCOLATE BANOFFEE PIE recipe in honor of Joan Hayes from Chocolate, Chocolate and More, who recently died. USING REGULAR CONDENSED MILK: Pour can into top of double-boiler pan and cover. Place over boiling water. Cook over low heat, stirring occasionally, for 40 to 50 minutes, or until thick and caramel-colored. Remove from heat. Beat until smooth. 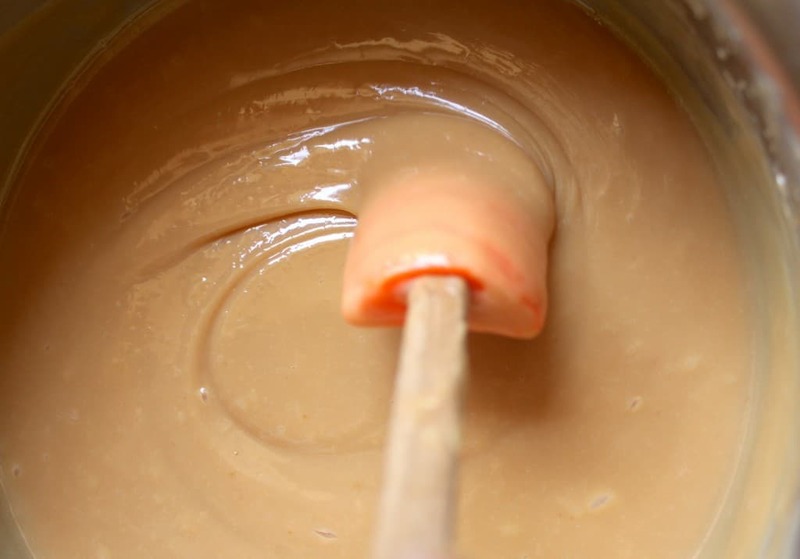 USING CARAMEL FLAVORED CONDENSED MILK OR DULCE DE LECHE: open the can/jar and use as is. 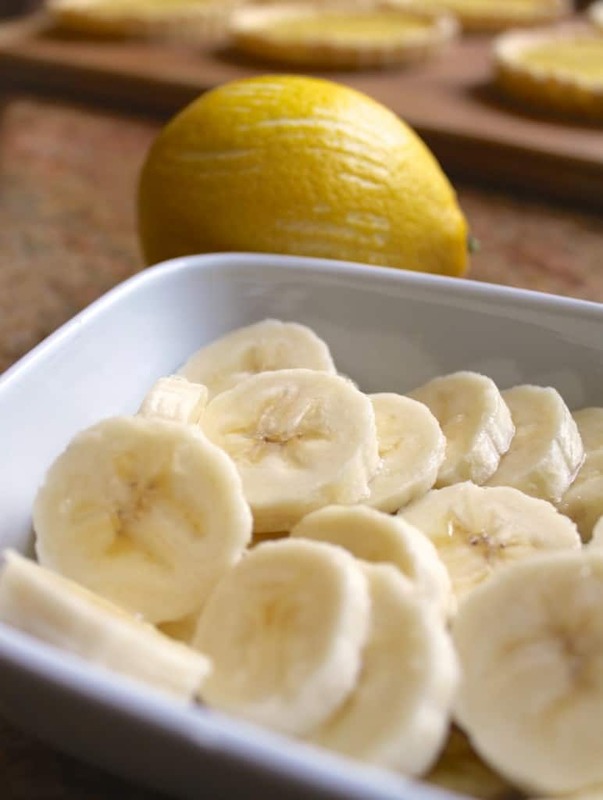 Slice the bananas and toss with a little lemon juice. Next, arrange the bananas in the bottom of the pie. 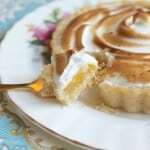 For the recipe for the tartlets in the background, click on the Passion Fruit and Lemon Meringue recipe below this post. Pour the caramel over the top of the bananas, then allow to cool (if warm). 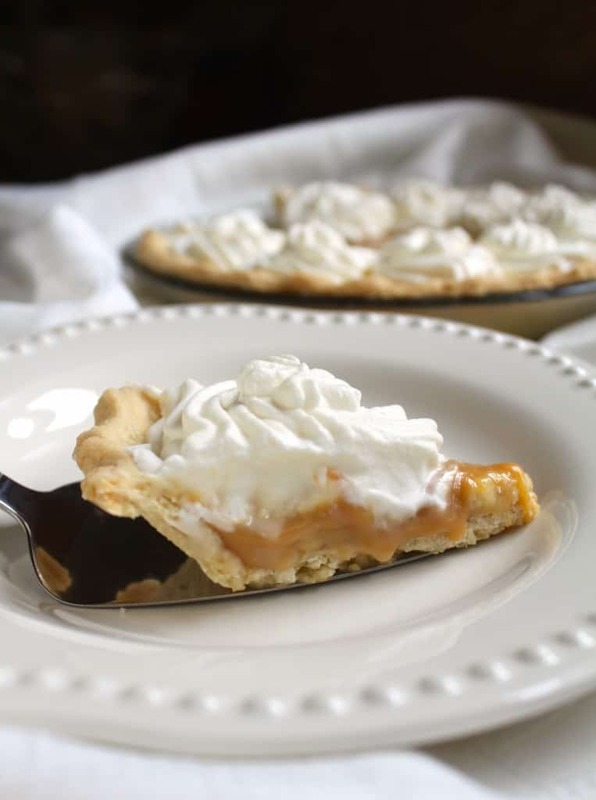 Next, whip the cream and depending on how much you want to use, pipe a decoration around the outer part of the pie, or cover all of the caramel with the cream. Finally, add candy espresso beans if desired and keep refrigerated until ready to serve. It’s a bit messy, but the taste is worth it! Have you made this Banoffee Pie? Let me know in the comments below! 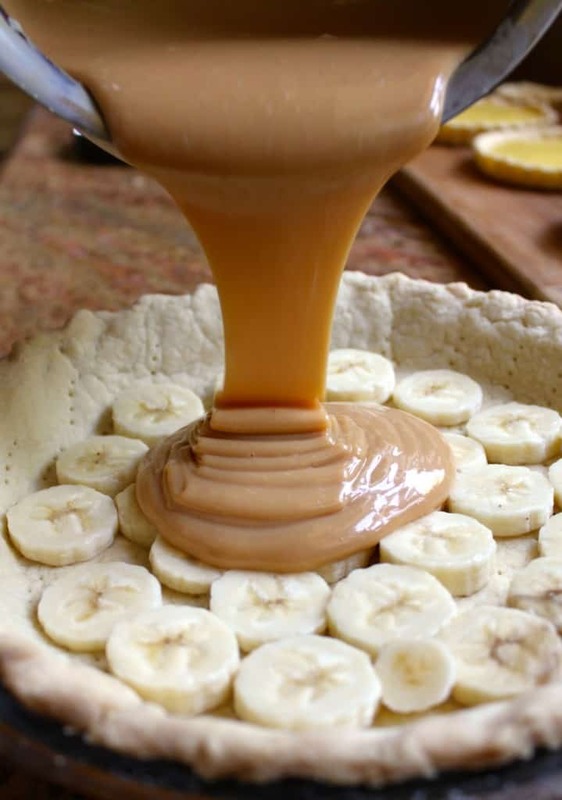 A no bake, caramel, banana and cream filled pie from England. 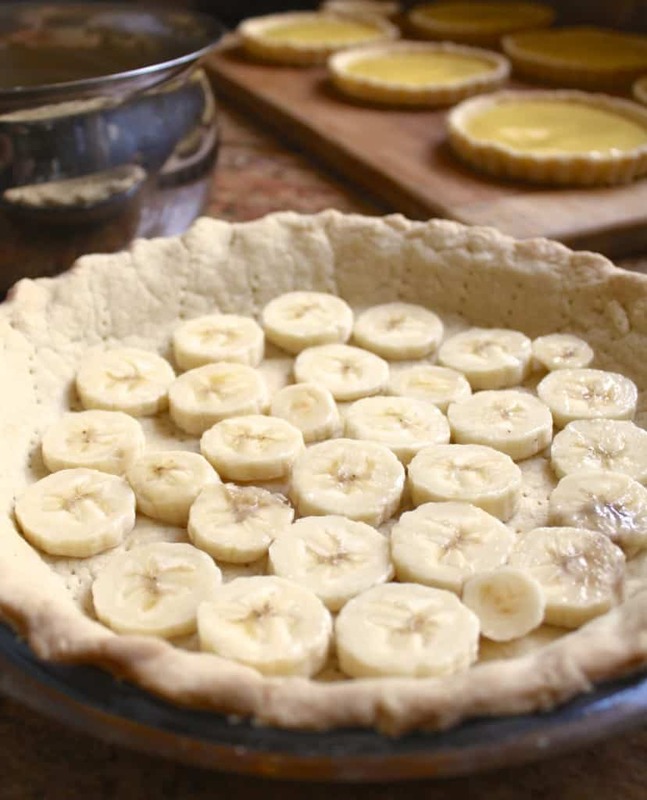 Arrange the bananas in the bottom of the pie. 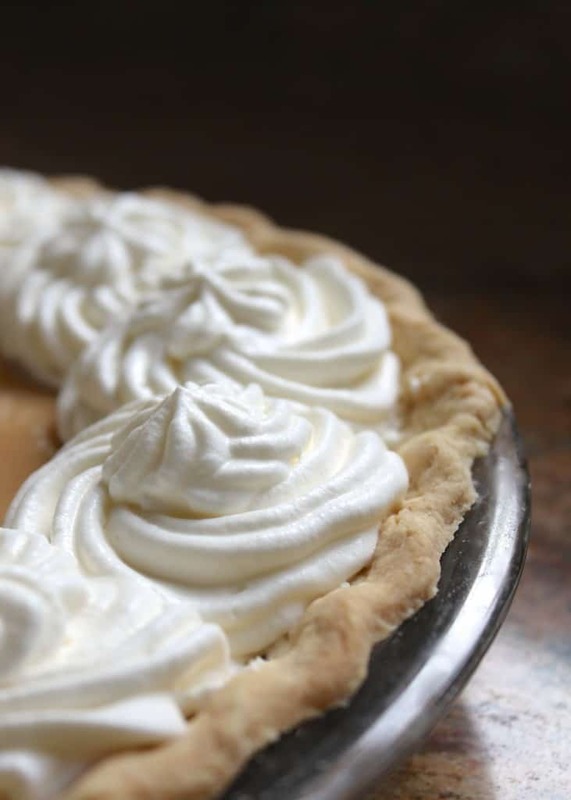 Whip the cream and depending on how much you want to use, pipe a decoration around the outer part of the pie, or cover all of the caramel with the cream. Add candy espresso beans if desired and keep refrigerated until ready to serve. I pour the condence milk in double boiler ? Covered or un covered ? Does it become like dulce de Leche? This seems convenient cooking only for 50 minutes ! I am confused about this method. I am a banoffee pie lover since I read about it in a South African cooking magazine and tried to cook it by myself. Banoffee pie is not that popular and ubiquitous dessert in SA, as it is in UK, I suggest, but the true is it is very simple and delicious one. As well as it is easy to make it with the kids. For a pastry I use degestive biscuits with melted butter and sometimes decorate it with crunchie bars on top. I dint know who to make a caramel from the condensed milk in a pot. Thank you for this and other tips! Oh! This is sooo my kind of pie! I’d love a slice tonight (and one for breakfast, too)! Fabulous! Your timing is perfect, Christina! We were just watching Love, Actually, and the scene with the banoffee pie made us want to make one! Merry Christmas and all our best for the new year! You’re probably not going to believe me, but I’ve never seen that movie! I hear about it all the time, but never ACTUALLY watched it, haha! Stay tuned: I have another version coming soon! Dear Christina, I’ve heard of this pie but have never tried it or made one. I am intrigued. 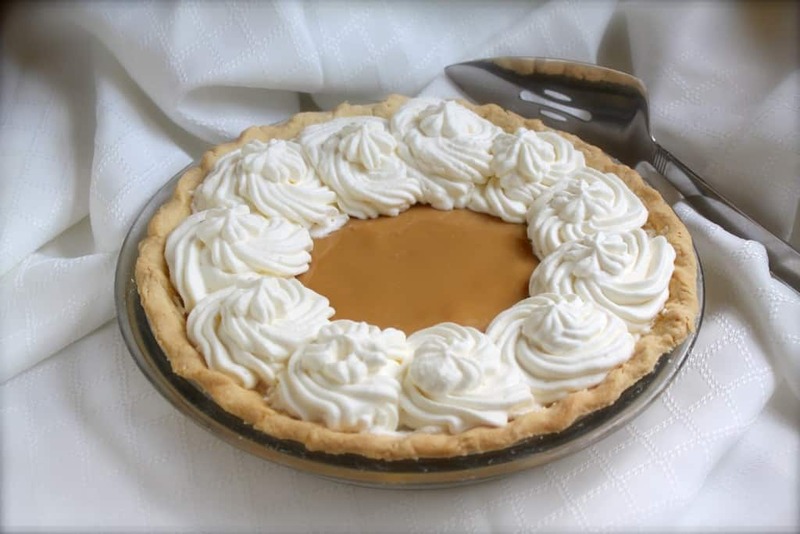 I cooked condensed milk as you described for a caramel pie once. The presentation of your pie is beautiful and I will be making this for my family over the holidays! Christina…simple but incredible and loved by all. Yum!! Yes, it is, thank you, Kristen! This is such a heavenly combination of flavors. No wonder the idea has endured! Thanks for the step by step photos. It makes it come alive. It is, Katie! Thanks so much! This is the first I’ve heard of this pie. And it makes a banana (& sweetened condensed milk)lover very excited! I’ve also never heard of boiling the SCM can! Scares me like talk of using a pressure cooker. I love the idea of using a slow cooker. 10 hours cracked me up! But a thought… Couldn’t I remove the SCM from its can & put in a slow cooker, naked? Without its can cloak & water to cover? I think I’m going to try it. On low. I’ll let you know if it works. 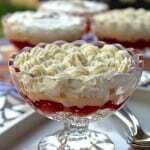 Thank You for this beautiful recipe that I pinned! Hi Lee, I suppose the only way to know would be to try it! I have no idea, but maybe there’s too much liquid in the pineapple for it to be good for leftovers? Apple might be a better option. Let me know what you try! You are most welcome, QP! Enjoy! 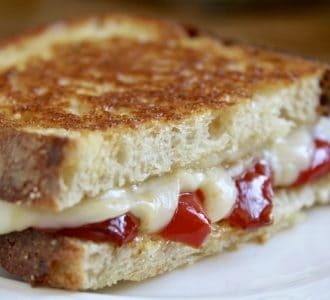 How yummy this sounds! I’ll be trying this as soon as I can buy the can of condensed milk and bananas! Never had banofee pie but have heard of it. 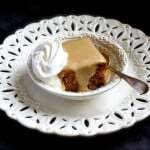 Its sort of like banana cream pie but with dulce de leche. Delicious Christina. Oooh, that sounds like another easy way! Great tip, thank you, Margaret!